From Sustainable Gardening to Ethnobotany to Wild Food cookbooks, there is more than enough information out there for you to become a lifelong learner. We've selected a list of books that are great companions to your new native, edible plants. Use these resources to expand your knowledge and make the world a better place. Enjoy! Bringing Nature Home: how you can sustain wildlife with native plants. Douglas Tallamy. 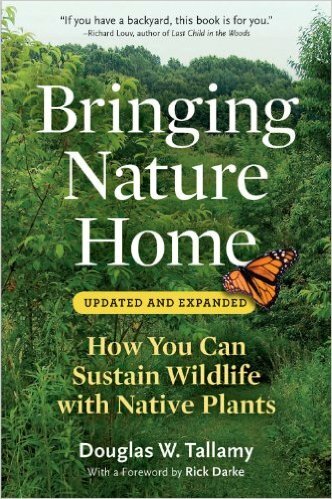 A beautiful best-seller on the importance, relevance, and joy of bringing native plants into the home landscape. Planting in a Post-Wild World. Thomas Rainer and Claudia West. A inspiring call to action on the why and how of "re-wilding" our garden spaces to make a more sustainable world. Garden Revolution: how our landscapes can be a source of environmental change. Larry Weaner. A renowned landscape designer shares his vision of gardening in Nature's way - easy, beautiful, and better for the planet. Real Gardens Grow Natives: Design, Plant, and Enjoy a Healthy Northwest Garden. Eileen Stark. A great introductory guide to using native Northwest plants to turn your back and front yards into beautiful sanctuaries for both you and the wildlife. Gardening With Native Plants of the Pacific Northwest. Arthur Kruckenberg. Good descriptions of Northwest plants, including how to propagate them and their many landscape uses. Beautiful No-Mow Yards. Evelyn Hadden. Let this book revolutionize your yard. Trade your lawn for a lively prairie, replace it with a runoff-reducing rain garden, or one of a dozen other transformative ideas. 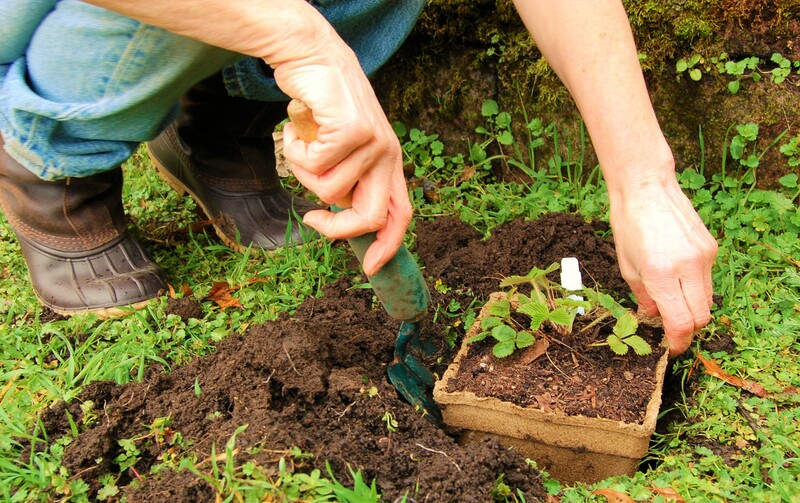 Propagation of Pacific Northwest Native Plants. Robin Rose. Detailed descriptions of dozens of Northwest plants and their growing needs. Very easy to understand book on propagation. Highly recommended. Encyclopedia of Northwest Native Plants for Gardens and Landscapes by Marianne Filbert and Kathleen Robson. A great overview of the vast array of regional plants that can find their way to home landscapes. How to Build a Backyard Butterfly Garden (article). by homeadvisor.com. 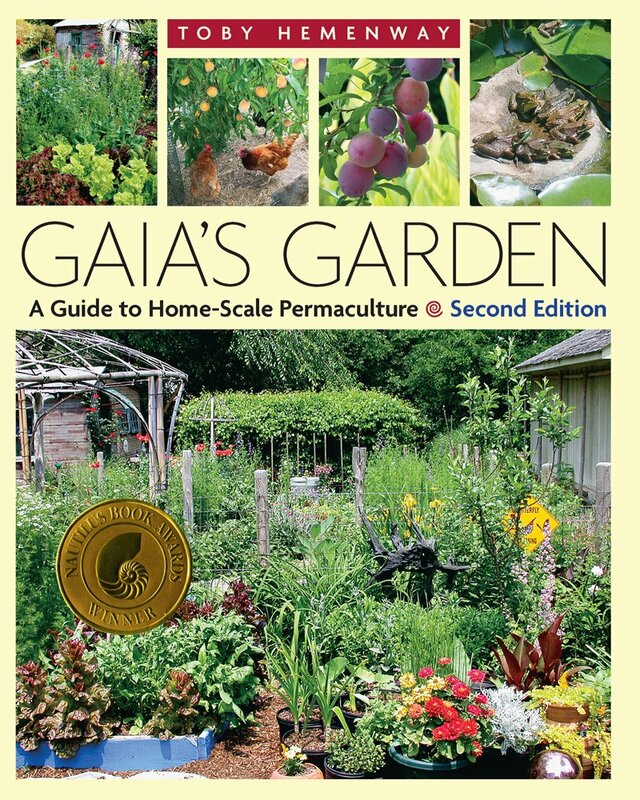 Gaia’s Garden: A Guide to Home-Scale Permaculture. Toby Hemingway. A very accessible book outlining the principles of sustainable gardening, for beginner and advanced gardeners alike. Turn your yard into an edible and beautiful paradise! The Resilient Farm and Homestead: An Innovative Permaculture and Whole Systems Design Approach. Ben Falk. A book for the practicing gardener/farmer. Includes brilliant ideas on designing and organizing a homestead for self-resiliency. Edible Forest Gardens. Volume 1 and 2. Dave Jackie. The breakthrough two-volume set on the concept of Forest Gardening, buidling diverse and productive gardens in Nature's image. One Straw Revolution. Masunoba Fukuoka. The classic manifesto of a Japanese farming master and buddhist sage, describing his revolutionary views on agriculture, foraging, and farming in Nature's way. Permaculture: Principles and Pathways Beyond Sustainability. David Holmgrem. The co-founder of the Permaculture movement describes how this important approach can transform our world. Intellectual, but very interesting. The Local Food Revolution: How Humanity Will Feed Itself in Uncertain Times. Michael Brownlee. Demonstrating that humanity faces an imminent and prolonged global food crisis, Michael issues a clarion call and manifesto for a revolutionary movement to localize the global food supply. Tending the Wild: Native American Knowledge and the Management of California's Natural Resources. M. Kat Anderson. 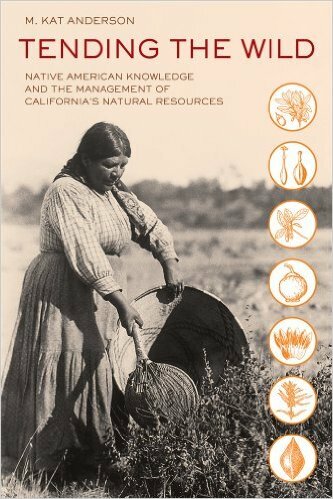 A cornerstone book on California Native American cultural history (by a Native woman), especially regarding Native land management and use of wild plants. It will uproot your ideas of "wilderness" and "agriculture" to bring you a unified vision of a human culture thoroughly integrated with their landscape. Braiding Sweetgrass: Indigenous Wisdom, Scientific Knowledge and the Teachings of Plants. Robin Wall Kimmerer. If you thought wild foods were just about eating, this Native American author writes beautifully on the deep teachings that arise from an intimate relationship to the plant world. Food Plants of Coastal First Peoples. Nancy Turner. A beautiful book about many of our local edible and medicinal plants, including specific uses according to different coastal people. The People of Cascadia- Pacific Northwest Native American History. Heidi Bohan. A beautifully done cultural overview of Native Northwest peoples, including traditional uses of many native foods and medicines. Great illustrations. Good for children and adults alike. Pacific Feast. Jennifer Hahn. A beautiful book on wild foods of the Pacific Coast, including seaweed. Jennifer worked with local chefs to come up with some delicious recipes that bring out the native flavors of the West. The New Wildcrafted Cuisine. Pascal Baudar. If you were skeptical about the potential of wild foods, this book will totally transform your outlook. Color pictures, recipes, and personal stories from a master chef who is devoted to the native foods of California. Very inspiring. Pacific Northwest Foraging. Douglas Deur. A wonderful book detailing 120 native edible plants with color, pictures, stories, and recipes. Beautifully done. Northwest Foraging. Doug Benoliel. A nice guide to a wild edibles of the region - native and non-native. Discovering Wild Plants. Janice Schofield. This is one of my favorite books on food plants. Janice is thorough and entertaining with her own stories of harvesting and using both native and non-native plants. Great recipes and descriptions of traditional medicines. 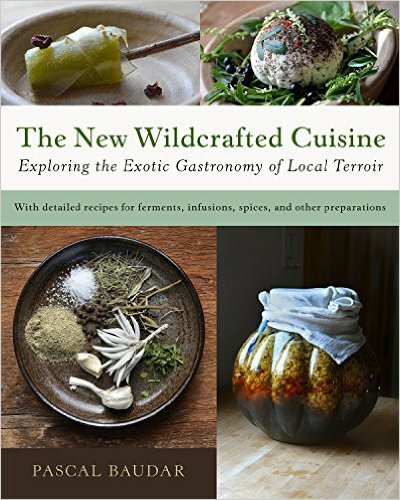 Edible Wild Plants: Wild Foods from Dirt to Plate. John Kallas. A wonderfully detailed book on wild edible greens. The Neighborhood Forager, A Guide for the Wild Food Gourmet. Robert Henderson. Good introductory information on wild edibles that one can find in an average suburban or urban area. Native and non-natives. Pictures, stories, and recipes. Plants of the Pacific Northwest Coast. Pojar and Mackinnon. 794 species and 1100 color photographs. Indispensable. The best book for Northwest native plant ID, great color photos. Handbook of Northwestern Plants. Gilkey. Complete book of plants native to the area from the summit of the Cascade Range to the coastline of Washington and Oregon, to the south line of Lane County. Medicinal Plants of the Pacific West. Michael Moore. Classic text on the medicinal uses of of local plants. Plants and Animals of the Pacific Northwest: An illustrated Guide to the Natural History of Western Washington, Oregon, and B.C. Eugene Kozloff. Good info on our native fauna and flora. NW Visual Plant ID. The name of the website says it all! Photos of NW plants for identification purposes. Know of another great books or websites all of us should know about? Let us know!